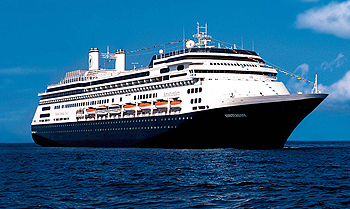 Named for the Dutch capital, Amsterdam is the third ship to bear this name in Holland America Line’s rich history. At the heart of the ship’s three-story atrium is the Planeto Astrolabium, a commissioned signature sculpture. The stunning Astrolabe tracks constellations, the planets, world time and ship time. While on board, choose from an array of onboard activities that allow you to pursue new interests or relax and rejuvenate. Guests on Amsterdam will be able to “show and tell” their vacation memories through the Digital Workshop powered by Windows®. Enjoy onboard cooking shows and hands-on workshops in partnership with America’s Test Kitchen (available beginning late July 2017). And explore the wonders of our world through exclusive BBC Earth natural history content through onboard activities, concerts and films. View all Amsterdam cruises, view a selection of Holland America cruise deals, or view more options for Holland America cruises. Always at the heart of the Holland America cruise experience is our warm and award-winning style of service that is never in the way and never out of reach. We sail with nearly one crew member for every two guests, providing the intuitive, gracious service that has long defined classic cruising. Our extensive onboard services, from special dining requests to full service laundry and dry cleaning services, are designed with your comfort and convenience in mind. Our specially trained crew takes pride in anticipating and fulfilling your every wish. From our waiters and bartenders to our chefs and wine experts, our spa technicians and fitness instructors to our officers and housekeeping staff, everyone is dedicated to providing you with the gracious and personalized service that will make your cruise vacation memorable. On board the ships of Holland America Line you’ll discover a cruise experience that is modern, fresh and appealing – in an ambiance that is timeless and refined. Whether you are an experienced gambler or rolling the dice for the first time, our Casino offers games for all levels, as well as complimentary lessons. Complimentary films and popcorn are waiting for you in your ship’s movie theatre. For teens ages 13 – 17, they will have their own places to hang out in The Loft for late-night sporting competitions, yoga and dance classes, cooking demos and teens-only nightclub events. How better to enhance your onboard experience than to provide incomparable cuisine in a variety of wonderful ways. Bountiful buffets and dress-up dinners, hors d’oeuvres on your verandah or a picnic on the beach are just a few of the dining options awaiting you aboard Holland America’s Amsterdam vacation. Whether you’re learning to navigate your way through a wine list or enhancing your already vast knowledge of vintages and labels, visit the Wine Tasting Room for a fun, informative session with the ship’s expert sommelier. Elegance redefined under a flower-bedecked stained-glass ceiling — the La Fontaine Dining Room offers award-winning dining at breakfast, lunch and dinner. Aromatic soups, seasonal fish and succulent meats, crisp salads and divine desserts grace a fresh, imaginative menu.